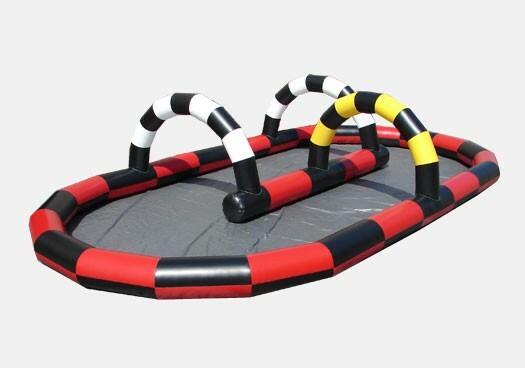 The Inflatable Race Track is the perfect Commercial Grade unit for your school, church, rental business, or other institution. Zoom with family and friends around this fun and entertaining inflatable to see who will win the race! This inflatable was manufactured with a high quality Commercial Grade 18 ounce PVC vinyl material; made to last year round.